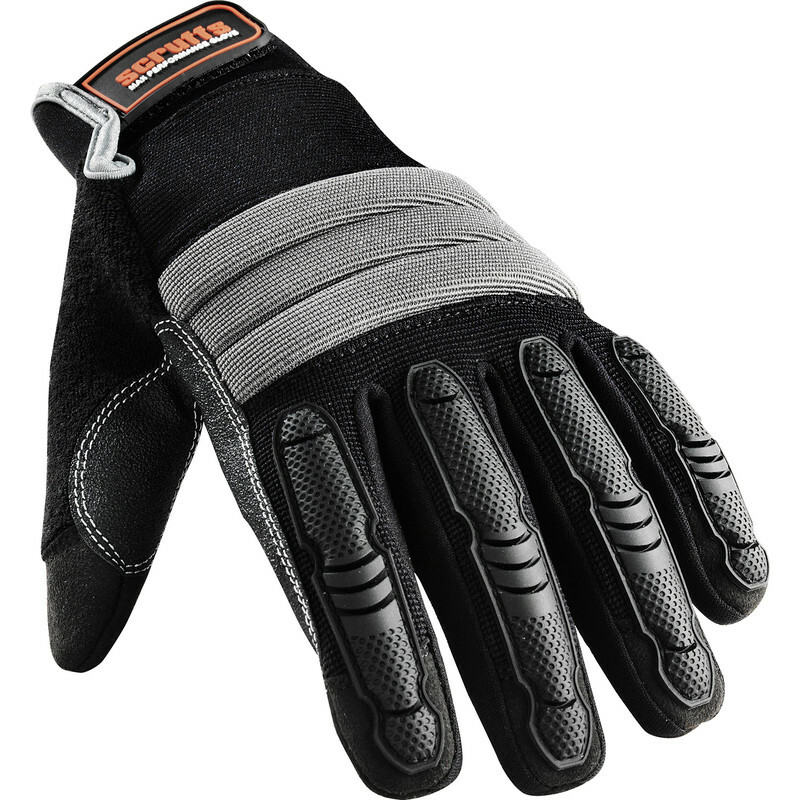 Hard wearing work glove designed to absorb shock and vibration when using power tools. Gel padded palms keep hands steady allowing you to maintain a secure grip as you work. Vinyl moulds to the fingers and rubber bumpers on the knuckle provide increased protection. Scruffs Shock Impact Gloves X Large is rated 4.5 out of 5 by 2.